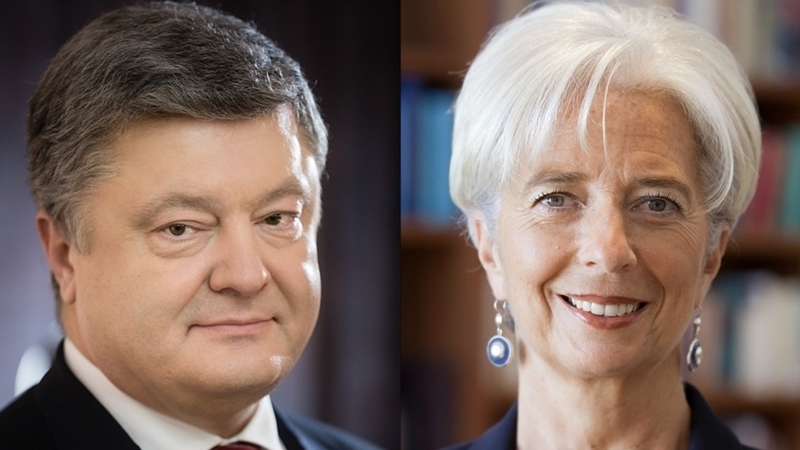 According to the webpage of the President of Ukraine, Petro Poroshenko held telephone talks with Christine Lagarde, Managing Director of the International Monetary Fund. Petro Poroshenko and Christine Lagarde coordinated approaches to the creation of the Anti-Corruption Court in Ukraine, taking into account the relevant initiative of the Head of state, as well as ensuring the effective operation of anti-corruption institutions. The President of Ukraine and the Managing Director of the IMF urged the political forces in the Verkhovna Rada of Ukraine to demonstrate exclusive responsibility and to unite in supporting the draft law on the Anti-Corruption Court for its early consideration this year. Christine Lagarde assured that the IMF supports the efforts of the Ukrainian authorities in the fight against corruption, taking into account the achievements on the way to the establishment of the relevant anti-corruption institutions. Petro Poroshenko informed Christine Lagarde about the progress on the path to reforms in Ukraine. Earlier, IMF reported that the growth of the economy in Ukraine was hampered by the level of corruption.